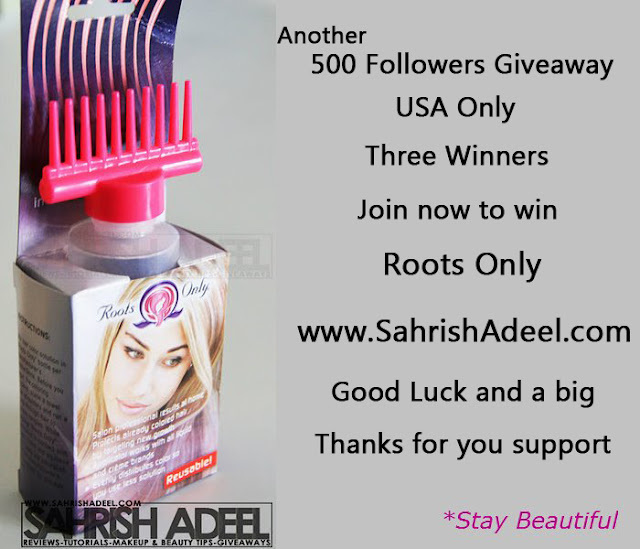 Three Lucky Winners for Roots Only Giveaway. | Sahrish Adeel - Malaysia based Pakistani Beauty & Lifestyle Blogger! Thanks to all the participants. Here are three winners for this amazing and useful prize. Click here to see what they have won. To all who did not win this time. Keep an eye on my blog as I am going to have many giveaway in February. Winners have been contacted via email and they have 72 hours to reply with their details or else I will have to choose new winner.